Meet OUTSIDE on the sidewalk in front of The Cheesecake Factory. 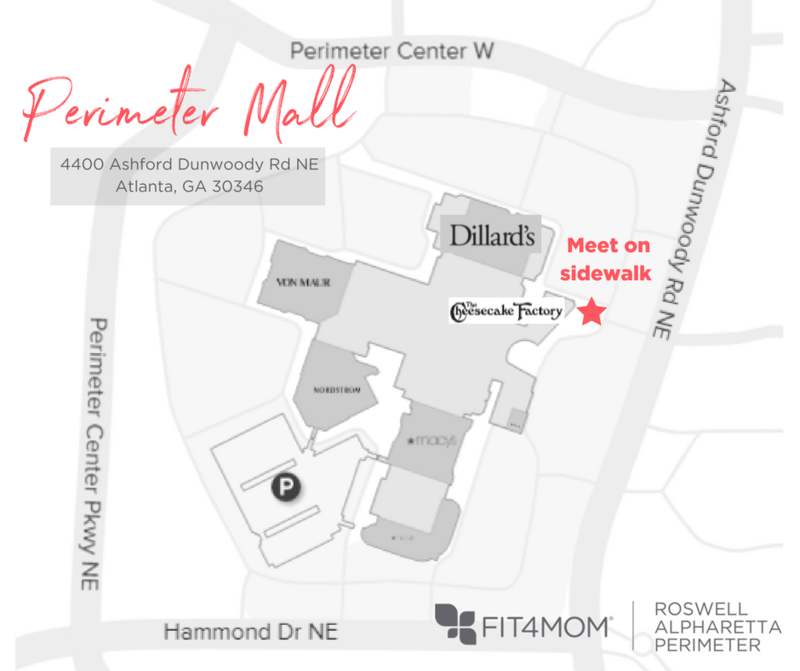 Look for a friendly group of moms with strollers and workout gear. Park near the Perimeter Mall Entrance between Dillard's and The Cheesecake Factory. There is a restroom located right inside this mall entrance. Be sure to park near a Mall Entrance. Store Entrances do not open until 10:00am. 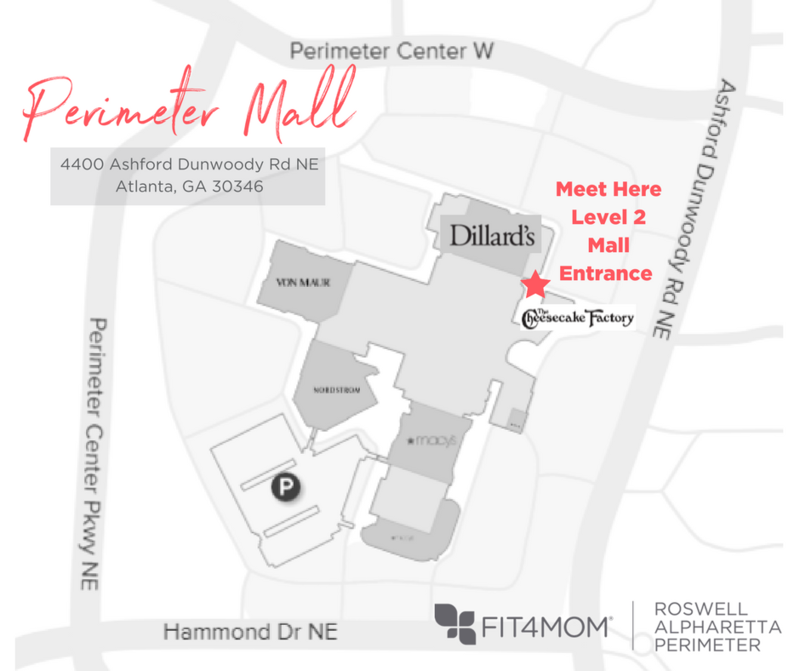 In the case of inclement weather, we will meet INSIDE the mall on the 2nd level in front of Dillard's.